Youth impaired driving statistics are alarming. It is very likely that at some point in your teen’s life they will come across a situation involving impaired driving. It may be impossible to keep tabs on your teenage driver at all times, but as they take to the roads, you can take action by educating them about the dangers of impaired driving and making sure they are equipped to make safe and responsible decisions. Every day, on average, up to 4 Canadians are killed and many more are injured in alcohol and/or drug-related motor vehicle crashes on public roads involving at least one “principal highway vehicle” (i.e. passenger cars, vans, trucks, and motorcycles). Road crashes are the number one cause of death among young people in Canada and approximately 55% of these deaths are alcohol-related. Survey data from the Centre for Addiction and Mental Health found that 12% of high school students reported drinking and driving and 17%of high school students drive after smoking cannabis. While young people are significantly overrepresented in alcohol-related deaths as drivers, they are overrepresented to an even greater extent as passengers. The impaired crash problem among youth is not simply a function of their immaturity and lack of driving experience; it also reflects their hazardous patterns of alcohol and drug use. Approximately 24% of students surveyed by CAMH reported being a passenger in a car driven by a driver who had been drinking, and 16% reported riding in a vehicle driven by someone who had been using drugs. In 2009, 16-25 year olds constituted only 13.7% of the population, but accounted for nearly 31.1% of all alcohol-related crash deaths. While young people are over-represented among fatally-injured drivers in alcohol-related crashes, they are over-represented to an even greater extent among fatally-injured passengers, pedestrians, bicyclists, and ATV and snowmobile operators. Canadians between the ages of 14 and 25 have one of the highest rates of cannabis use in the world. It’s the drug they use most after alcohol. Most young people see cannabis as a benign drug, far less dangerous than alcohol. They think driving under the influence of cannabis is risk free. CPHA (Canadian Public Health Association) relates that clinical evidence shows that smoking cannabis can produce unwelcome effects behind the wheel, including a shorter attention span, an altered perception of time and distances, and slower reaction times that impair the driver’s ability to respond to sudden events in traffic. The social costs, human tragedy and productive years of life lost among youth from impairment-related road crashes are significant and 100% preventable! It is never too early or too often to educate your teen on the risks of impaired driving. Share the stats and make sure they know how much danger they could be in if they choose to drive after drinking or doing drugs, or ride with a driver who’s been drinking or doing drugs. Learn more. Have your teen sign a contract with you or a friend. Download our contract (PDF). In conjunction with the contract, another great reminder for your teen is to have a set of firm rules. Remember when setting these rules you must be authoritative and clearly state what the consequences would be. Let your teen know that you will be monitoring them. See them off before they leave and wait for them at the door when they return. Check your teen out by giving them a quick hug to smell for alcohol or cannabis, check their eyes for redness or dilated pupils, talk to them about where they are going or where they have come from to check their speech patterns and personality traits. Finally, look for mints, gum or perfume that they may be using to cover up. Talking to your teen’s friends and parents is another good way of staying in the loop and knowing what your teen is doing. Always make sure that you and any other legal guardian or mentor sets a good example. If you have been drinking or doing drugs don’t drive; if you are with others that are drinking or doing drugs, make sure they don’t drive. Showing your teen that you don’t drive impaired, and the measures you take to prevent impaired driving, is a great example to set. It is very important to have a close relationship with your teen when it comes to being able to talk about impaired driving and the situations your teen will face. Be open and honest with your teen. Be firm with your rules and boundaries but nurture a close relationship to build trust with them. Repetition is key when it comes to impaired driving discussions. Studies have shown that teens need to hear about the consequences of impaired driving on a regular basis. Even if you don’t think they work, keep having these conversations because if even a quick flashback memory appears to them when they are in a situation, what you have taught them could save their life and others. Put clear alternative plans in place with your teen. Let your teen know they can take a cab, stay the night or have a designated driver. Another good message to get through to your teen is to let them know that, no matter what, they can call you at any time for a safe ride home, no repercussions. You are not giving them permission to drink or do drugs, but you are letting them know that safety should always come first. 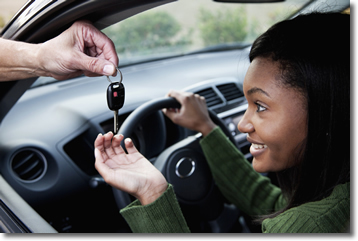 Young and beginning drivers have extra rules to follow when learning to drive. Every province and territory has a Graduate Licencing Program for young drivers. These programs are designed to give young and novice drivers the chance to gain driving experience while limiting risk factors. They typically include: a .00% BAC requirement, night-time and highway driving restrictions and limits on the number of passengers. The duration of the program depends on the province or territory, but generally range from 1.5 to 3 years. Young drivers who violate the terms of the program can lose their licence and have to start the Graduated Licencing Program all over again. Learn more about the .00% BAC for Young Drivers and Graduate Licencing. If your teen is driving your vehicle, you are responsible for any damage or injuries that are caused by an “at-fault” driver who is driving with your express or implied consent. And if that driver is intoxicated or not legally entitled to drive, your insurance coverage may be dramatically reduced. If your child causes an “at-fault” crash while intoxicated, your insurance company is not required to compensate you for the damages to your vehicle, regardless of what collision coverage you have purchased. Depending on your province, you may also be required to compensate your insurance company for any property or personal injury damages it had to pay to the other parties. For more information, see Alcohol, Teens and Catastrophe (PDF). Power of Parents – MADD U.S.